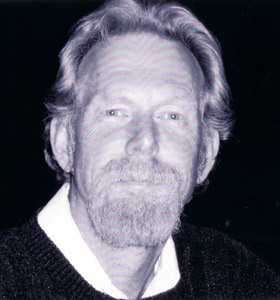 Rod Lingren began his art studies in his father’s classroom at SDSU where he learned drawing, painting and print making. He assisted his father with the International Printmaking Workshop in Turkey and India which was sponsored by the Smithsonian Institute and the USIA. Upon returning to the U.S., Mr. Lingren studied art, sculpture and pottery at local colleges, worked with jewelers, medical illustrators and museum curators. He became a Master Printmaker at Orr Galleries. While at ISOMATA, he was offered a job to teach sculpture at the Orme School where he has remained on staff for 23 years. One of Mr. Lingren’s sculptures can be seen in the foyer of the La Mesa City Parks and Rec. Center. Recently, Mr. Lingren’s main emphasis has returned to oil and watercolor painting where he is developing a repertoire of styles both introspective and esthetically pleasing. or write: 15102 Oak Creek Rd.